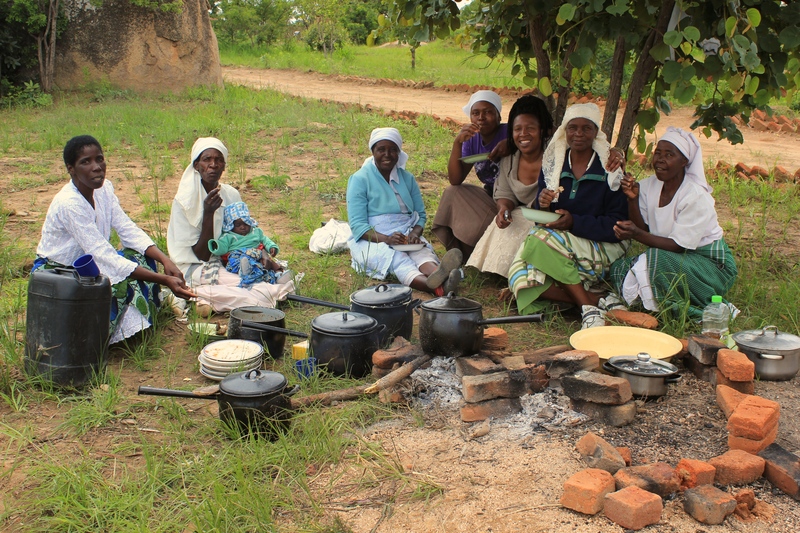 In our community and across Zimbabwe, we work with people from very diverse backgrounds. A lot of our community centre users and our beneficiaries are parents of disabled children and those living with AIDS/HIV. Whilst visiting our community centre they come to work and learn craft making skills. 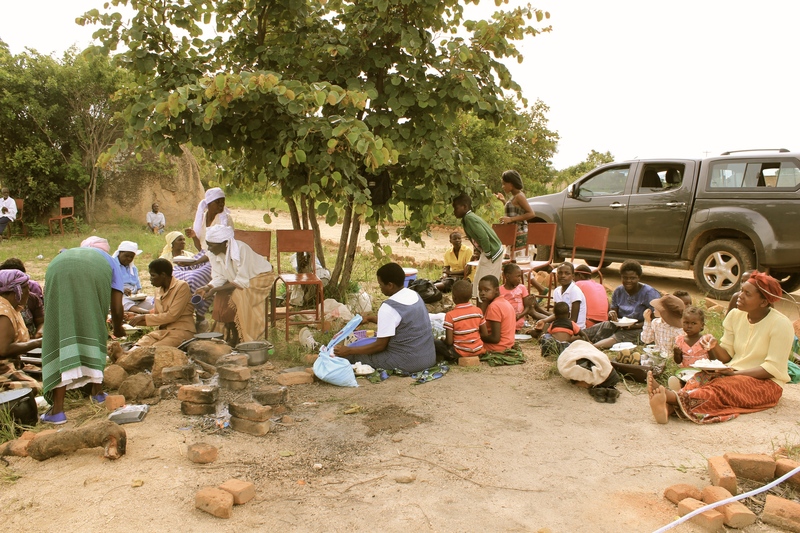 A large part of our annual visit to Zimbabwe includes organising educational workshops at the community centre. These workshops encourage practical initiatives which educate the community on a range of issues, from coping with climate change, the importance of sustainability and the protection against AID’S and HIV. Through the inclusion of all members of society, we encourage and improve the local opinion on the benefits of our work. We work with mothers of disabled children and other community members to establish systems of producing and sustaining incomes. Martha, our founder with some of the mothers of disabled children that we support. The group of mothers of disabled children have created a business making and selling embroidered bags to create an income for themselves, and to be able to care for their children. They have also now been trained in batik making, which they can use to expand the type of products they make. In Zimbabwe disability is a huge problem as the government has directed funding to other cases such as HIV and AIDS. With no funding or grants available for disability in general, families and mothers struggle to survive. We are committed to providing a home for disability right at the heart of the community. During every trip to Zimbabwe, we support the mothers of disabled children directly. Whether it is by donating clothing, medical supplies or items as simple as a bottle of sun cream to stop albinos getting severely burnt by the sun. This group of mothers has created a special relationship and friendship in the community and we support and promote the equality and free rights of every person. We believe that every individual is equally important. Supporting equality of all.